Kevin Pina reports live from Port-au-Prince on the ongoing suffering in Haiti and the decision by the US government to put military security before saving lives; also, Greg Palast talks about the recent Supreme Court decision that empowers corporations to fully control the electoral process; and we continue our discussion on the politics of food. 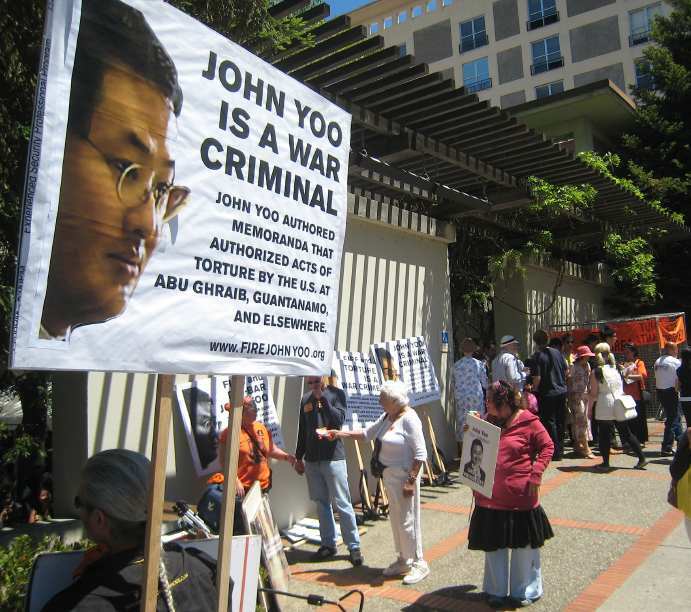 Obama breaks his campaign promise to close the US Torture Center at Guantanamo Bay; anti-torture protesters hold him accountable in Washington D.C. ; Meanwhile, the man who wrote the memos justifying the wide ranging use of torture under the Bush administration, John Yoo, starts teaching again, but exactly where is being kept a secret by Officials at the University of California in Berkeley; And Ali Abumimah speaks with us from Amman, Jordan about two weeks of protest in Cairo against Israeli Apartheid. We continue our drumbeat reporting from the streets of Tegucigalpa and inside the Brazilian Embassy, where a military coup standoff continues in Honduras; also, author and journalist Max Blumenthal dissects the inner workings of the religious right wing in his new book, Republican Gomorrah; and Jimbo Simmons of the American Indian Movement talks about the ongoing fight for indigenous rights in North America. We continue to monitor the volatile situation in Honduras, as the President remains surrounded inside the Brazilian embassy, we’ll have a live report from Tim Russo on today’s resistance activities; and an in-depth look at the vicious new religious right, with award-winning journalist Max Blumenthal, author of Republican Gomorrah: Inside the Movement that Shattered the Party. An in-depth look at Glenn Beck and the new extreme right with Nation writer Max Blumenthal and his new book, Republican Gomorrah: Inside the Movement that Shattered the Party; also, a new United Nations report accuses Israel of potential major war crimes and crimes against humanity during its recent bombing siege and attacks on Gaza, we’ll speak to the top UN investigator for human rights in occupied Palestine, Richard Falk.